Much of the area is to be put on a war footing as the clock is wound back 75 years, with air raid sirens wailing, Service personnel on patrol with weapons at the ready, and the Home Guard on alert. 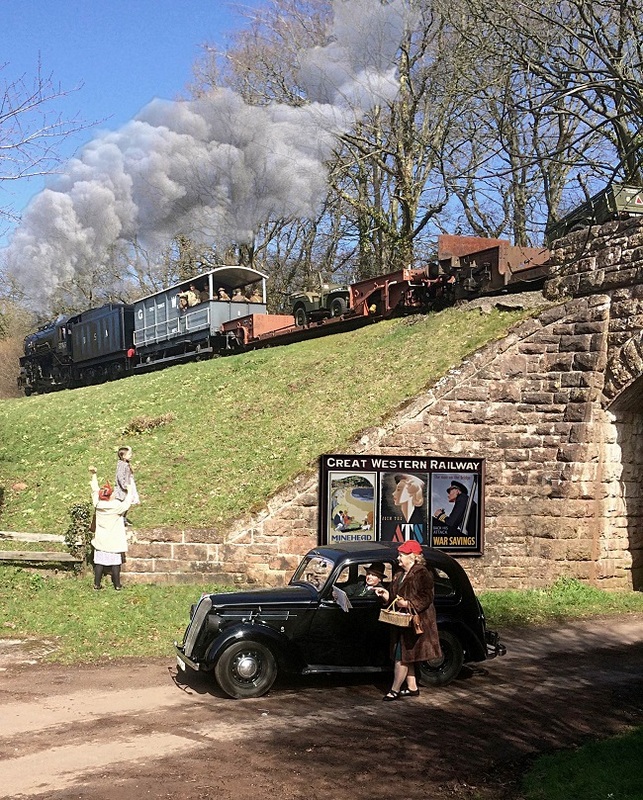 The occasion is a special 1940s Week-end being staged next month along the route of the West Somerset Railway, which will have hundreds of enthusiasts, a number of stations, and the town of Watchet taking part. 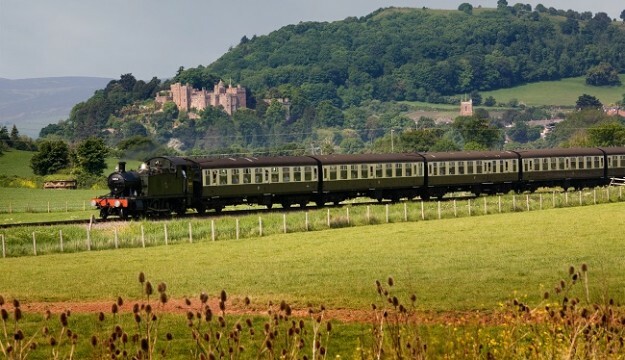 “The West Somerset Railway and towns along the line are ideal for a commemoration of those turbulent times because the area played a huge role, with tank and infantry training sites on Minehead’s North Hill, coastal defences at Blue Anchor, an RAF site and harbour defences at Watchet, an Army camp at Doniford, an American army base at Norton Manor, and several vital hospitals”. Mr Wichard said: “The aim is not to glorify war or to stage any form of battle re-enactment along the WSR and in fact all Axis uniforms and vehicles are banned from the event as they were never here. Most of the military vehicles and tanks used by many thousands of troops were taken by train along the Minehead branch line, often late at night, and a specially-created military train will run between Bishops Lydeard and Minehead during the event, on September 15 and 16. The event features regular music and comedy from the 1940s at Minehead, Washford, Watchet, and Bishops Lydeard performed by nationally-known artistes, while the Watchet Film Society will present a special showing of “Guernsey Literary and Potato Society” on the Friday evening (September 14). On the Saturday (September 15) residents and visitors can swing into action with a 40s dance under the Minehead station platform canopy and starring the Liberty Sisters and George Formby tribute star Dickie Lines, with Ricky Hunter as MC. A special late-night train will take people back home along the line to supplement the normal daytime steam service. As a unique attraction, a 40s-style pop-up hairdressing salon will be sited in a carriage at Minehead to get the ladies into the mood for the evening hop. The Deane Big Band will be playing at the resort’s Regal Theatre on the Sunday evening to finish off the week-end. Minehead Station will de defended by a static Bofors anti-aitcraft gun, and visitors will be able to enjoy a Spitfire Experience plus an RAF display at Bishops Lydeard Station. There will be military and civilian vehicles at several locations along the line supported by enthusiasts in authentic US and British Service uniforms. A Home Guard and Women’s Land Army presence will also add to the atmoshere. 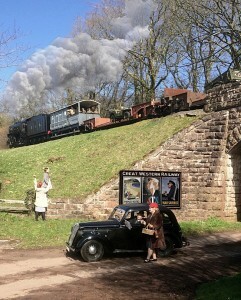 Visitors will be able to visit military camps at Washford Station and meet the soldiers while to emphasise the wartime spirit, King George VI and then Prime Minister Winston Churchill – both played by actors nationally renowned for their depiction of the wartime leaders – will visit a number of locations. A memorial service and wreath-laying ceremony will take place at Watchet War Memorial on the Sunday morning.